Do you know that the first few pages of your screenplay are most important? Most readers and people who desire to be an executive only need to read about ten pages of your screenplay to get interested in your work. This is the reason why the first few pages of your screenplay need to be catchy. This article is centered on providing some great and tested script writing basics techniques to make your story catchy. Your screenplay must be action packed. Can you repeat the word action? Yes, Action. Have you watched any of James Bond movies? You will observe that all James Bond movies started with action. Most times, the action was not even related to the plot of the movie. You’ll see an incident similar to this: “a police officer trying to arrest two substance dealers, next, a gunfire starts. One drug dealer is down, and the other gets away. Then the officer starts chasing after the dealer getting away, he drives so fast, shooting his gun and dodging all obstacles on his way.“ Can you visualize the picture? Billy Wilder, the terrific writer, and director have this to say about movie making and screenwriting. In his words, “Grab your audience by the neck and never let them go”. This is what you should do in the first few pages of your story. Indeed, your story should keep the readers locked to the story. The first few pages should show who the main characters are, the genre, mood, theme, setting and the time period of the play. So, from the beginning, the readers know who the antagonist is as well as the protagonist. Although, some stories may not necessarily introduce the protagonist directly, the screenplay will drop hints to reveal the character acting as the protagonist. As a matter of fact, your screenplay should give pointers on the impact the person of the protagonist will have on characters in the story. Since the first act sets the premise of the play, there is a need for it to be catchy – much emphasis on the word “catchy”. It should be interesting such that it will catch the attention of the reader, otherwise the reader will drop your script and move on to the next one. In your screenwriting efforts, be sure to make use of Archetypes. Prototypes, however shouldn’t be mistaken for stereotypes which are the one-way characters we see in some movies. Prototypes stand for the parts of our personalities on a more deeper level – father, mother, king, artist and so on. They have been in use for a long period of time. They tend to get through to our subconscious mind, little wonder, they have the power to affect our emotions. The prototype can be the framework on which you build a three-way character. The commonest prototype we see in literature and movies are the hero, the fool, the friend, the mentor, to mention a few. Do not be tempted to turn your prototype into a stereotype by giving them one obvious personality. For instance, in a play, the mentor is considered to be a wiser and older person but at the same time, your mentor prototype can be a sibling who educates a sister or brother on how to tie their shoes. Your mentor prototype could also be a senior officer in the military. Use prototypes wisely as they have the power to improve your screenwriting. Screenwriting is quite different from writing a storybook or writing a novel. Because it’s different, it needs to be dealt with differently. Here are some mistakes you should avoid in screenwriting. Oftentimes, novels start at a slow pace with the author describing the background of the characters and the scenes, but this is not the same for the screenplay. Since the whole size of a screenplay is about 120 pages, you need to cut to the chase faster. The descriptions in a screenplay should be minimal – it should be sufficient to pass the message across to the reader. Screenwriters who are still novice tend to have characters explain what we just watched on the screen. Take this for an example, John and Chris both ran a race and John won. We already saw that John won, we don’t need another character to tell us John won the race. 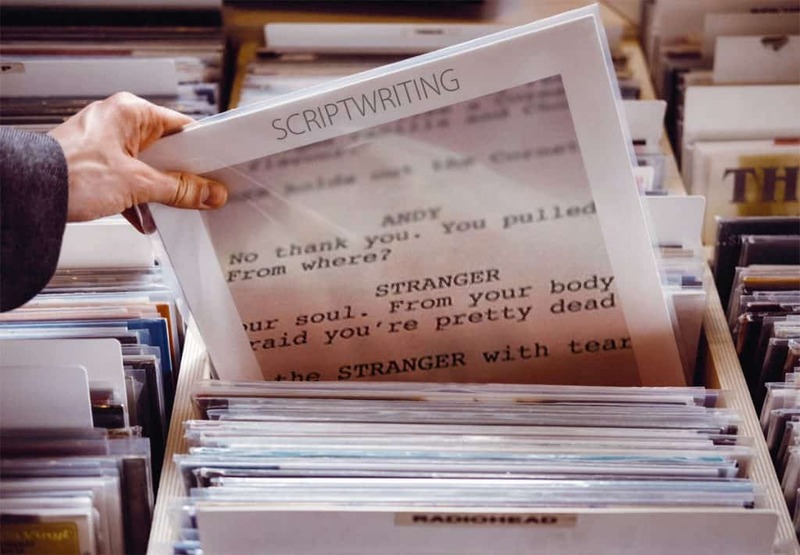 The first thing a reader does when he or she picks a script is to check the format. If he finds that the format is wrong, he immediately throws the script away. Be sure to follow the strict format of screenplays. A common mistake peculiar to novice screenwriters is writing page after page dialogue. Your screenplay should allow a good balance of physical action and dialogue. Your screenplay should favor action. Remember action was mentioned at the start of this article? Yes, because Action is key. We hope this article helped you out learning script writing basics.